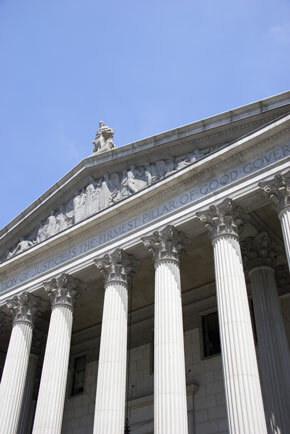 The attorneys at Silverberg Zalantis LLC have knowledge of New York's complex eminent domain statute to advise our clients of the proper procedures. "Eminent domain," or "condemnation," is the legal process by which a public entity (or private entity having the legal power of eminent domain) is given the legal power to acquire for "just compensation" private property to be used for a use that has been declared to be public by constitution, statute or ordinance. There has been a flurry of discussion from the mainstream media to the academic community stemming from the United State Supreme Court's recent decision in Kelo v. New London, 125 S.Ct. 2655 (2005). In Kelo, the Supreme Court determined that governments can condemn private land in connection with area-wide redevelopment projects. Even though many legal scholars viewed this decision as simply re-affirming long-standing legal principles, many in the public were outraged by what they perceived to be the government's new over-reaching powers to condemn private property for a questionable public purpose. Partially in response to other eminent domain cases, the New York legislature passed new eminent domain requirements mandating that public entities give specific notice to landowners about the eminent domain process. More recently the New York Court of Appeals issued an important decision which signals that the New York Courts will follow the broad holding in the Kelo case.